High Output, hornloaded, two-way cabinet. 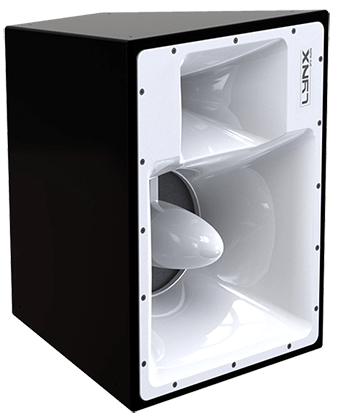 Consists of a 12″ (64mm aluminium voice coil) transducer and a 1.4″ neodymium compression driver with titanium diaphragm mounted on a special GFK/Sandwich 60º x 40º horn. Bi-amplified delivering AES 60W (HF) and AES 500W (LF/MF), 133dB SPL. Available in any colour and finish you like, the DS-12 is designed to not only be pleasing to the eye but also to the ear. 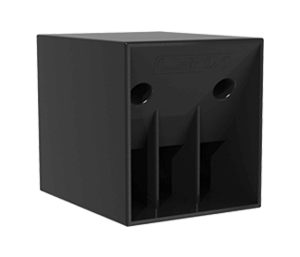 The horn loaded, high power DS-12 is primarily designed for installations, especially clubs/discos, is bi-amplified and can also be manufactured as a self-powered version to deliver all the features such as FIR that Lynx Pro audio electronics deliver. 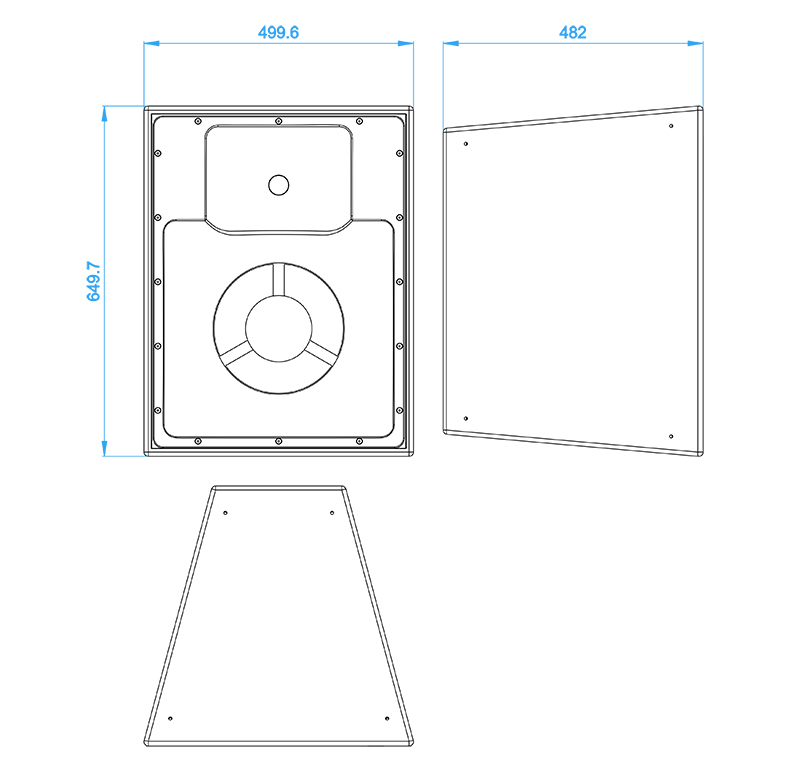 It uses an exponential 12” Driver (64mm aluminium voice coil) for the low/mid and the high frequencies are looked after by a 1.4” neodymium compression driver with titanium diaphragm and mylar surround. The special GFK/Sandwich horn delivers 60º x 40º coverage.